On a night when you’re looking to save a little money, but still enjoy a few glasses of wine while you indulge in great food, visit one of these Downtown BYOB restaurants. Capri Caffé is an intimate Italian restaurant in TriBeCa that has become one of my favorite spots in the city. There are only a few tables in this tiny cash only restaurant, but it’s worth the wait. 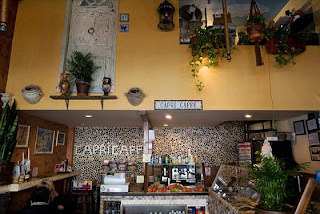 Handsome men from Italy cook in la cucina that surrounds the seating area. Scents of olive oil and fresh herbs fill the air as you enjoy the bottles of wine you brought. Order the Penne Alla Piazzetta (penne sautéed with fresh chopped tomatoes, garlic, oil, fresh mozzarella that’s made in-house, and basil) for only $12.95. Cookies are freshly baked upstairs, so make sure to order a few. For the “Bella’s” the waiters tend to give them for free. 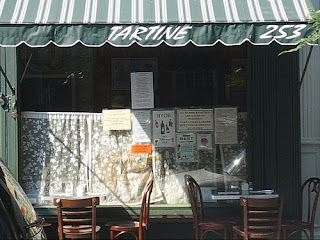 The corner-store-sized Tartine in the West Village is the perfect restaurant for BYOB French cuisine. Be prepared to stand in a line outside, while waiting for a table to open up. Once you (and your bottle) are seated, you will enjoy simple, yet delicious French fare. Try the Croque Monsieur (baked ham and Swiss cheese on brioche with green salad) for $9.50 or the Moules Frites for $18 when it’s on the Specials list. Make sure to leave room to share one of the desserts, because they aren’t named Tartine for nothin’. In the mood for Japanese? L.E.S. Sushi serves fresh dishes themed after the neighborhood. Try the Eldridge Roll (spicy crunchy albacore tuna, cucumber wrapped in salmon) for $13. The prices are pretty average for appetizers and rolls, but without the added cost of buying drinks, it remains a good deal. 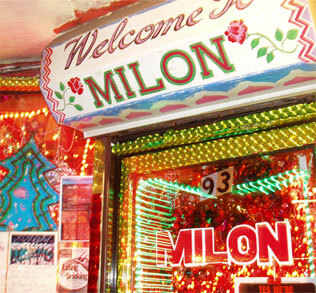 When debating over which East Village Indian restaurant to visit, as you’re being beckoned by multiple hosts standing outside, choose Milon to bring in your bottle. This overly decorated and festive Indian restaurant is loud and cramped with hanging Christmas lights, but the cheap Indian classics (such as Chicken Tikka Masala for $6.75) keep neighborhood kids coming back. When in Soho, visit Ivo & Lulu for a Caribbean, French, and American Nouveau menu. Order the Confit (roast duck leg, jerk spice, mango marinade) for $16. Then menu is pretty small, but all dishes fall between a reasonable $12 - $17 range. 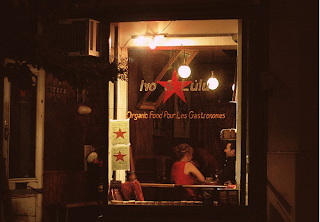 Where is your favorite BYOB restaurant?